Whether it’s Angry Birds, Pokemon GO or the newest online craze, prying your kids away from their handheld device these days is like pulling teeth. Whatever happened to building forts, playing in the mud or swinging across the jungle gym? 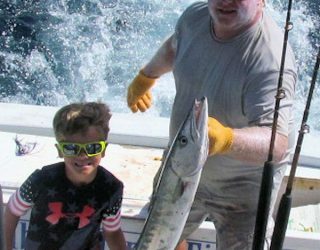 Get your kids outside (and loving it) by instilling a fiery passion for the action of a rod and reel – believe it or not, it’s a lot easier than you might think! Here are a few pointers to help you power down screens and wet some lines. 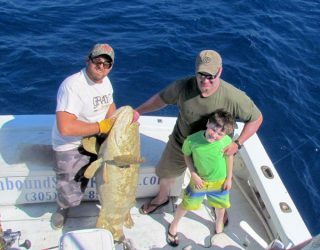 A Goliath Grouper – Big Enough! Little ones don’t have the same level of patience when the fish aren’t striking. For you, a day out on the lake beats the office a million to one even if you don’t get so much as a nibble – but to a kid, a few hours without a bite feels like an eternity. If you want children to fall in love with fishing, they need to catch fish. And the bigger the better. We’ll worry about teaching the reality that sometimes you come home with an empty cooler later. Forget about plunking bobbers at your local watering hole. 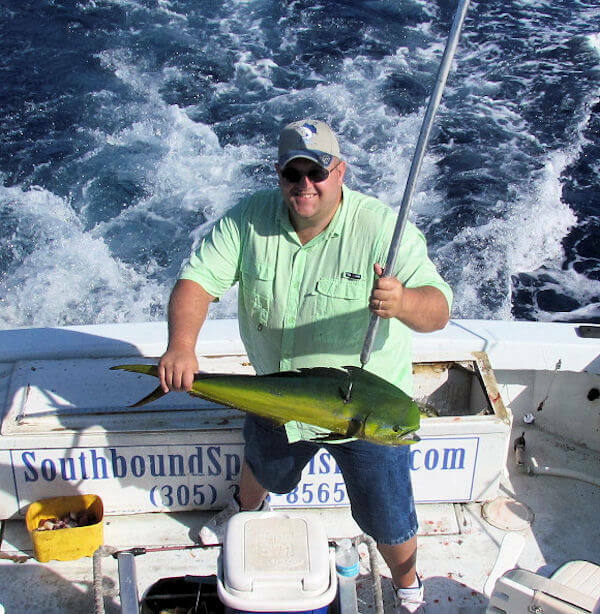 Get them out on a professional charter fishing trip where the action is sure to ignite a healthy dose of adrenaline. Once they’re hooked on the excitement of hauling in a real beauty, the transition to more fickle fishing spots like lakes, rivers and streams becomes easier. Kids hate to be told, “this is for grownups.” As much as possible, get your children involved in every step of the process. A day or two before the charter take them down to the docks around the time the boats are bringing in the catch of day – let them see what others are catching and watch as the mates clean and fillet the catch. They will also get a chance to see the charter boat and meet the mate and captain of the boat they’ll be on. 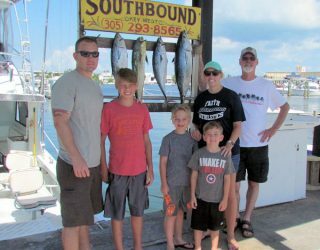 Take them to local outfitters or bait shop and let them touch the rods and reels, and learn about the live baits and other lures. If you’re driving to Key West from the mainland, be sure to stop at World Wide Sportsman in Islamorada – they can look at the rods and reels and other saltwater gear, they can climb aboard a beautiful old wood charter boat, sister ship to Ernest Hemingway’s “Pilar,” and there is a large glass tank with snook, tarpon, bonefish and other local fish. 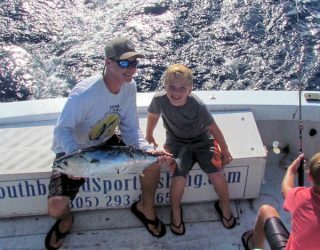 The more chance they have to explore the ‘world of saltwater sport fishing’ the more they’ll take ownership in the experience. Catch of the Day – Mackerel! As an experienced angler, you know that some days fishing go better than others. Whether it’s bad weather, choppy water or simply stubborn fish – when the goin’ gets tough, it’s time to go home early. As your kids get more into it, they will let you know when they’re ready to “tough it out” and get in a couple more hours fishing in less than ideal conditions. Until then, focus on keeping it fun – because as soon as fishing feels like a chore they’ll lose interest. Fishing buddies for life. 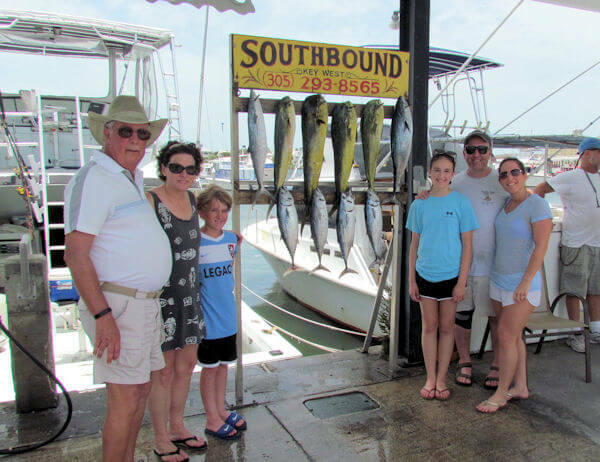 Given that you’re never too old to fish, grooming your children to be avid anglers means you’ll always have something in common and a fantastic excuse to spend time together. A fisherman has a greater appreciation for nature than the common man. 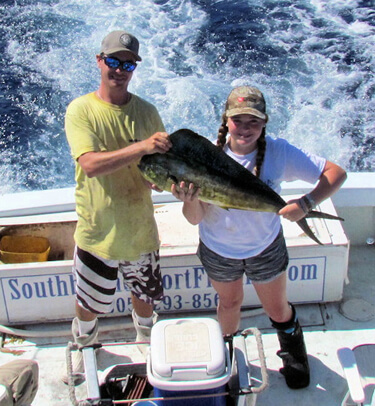 Boys and girls who grow up fishing are more likely to develop a conscience for protecting our seas and conservation. Impart a healthy lifestyle. Why raise couch potatoes when there’s so much life to be lived out there? A love of fishing will lead to interest in hiking, camping and other outdoor activities, too. Both the mate and I (Capt. Rich) have lots of experience teaching youngsters to fish. 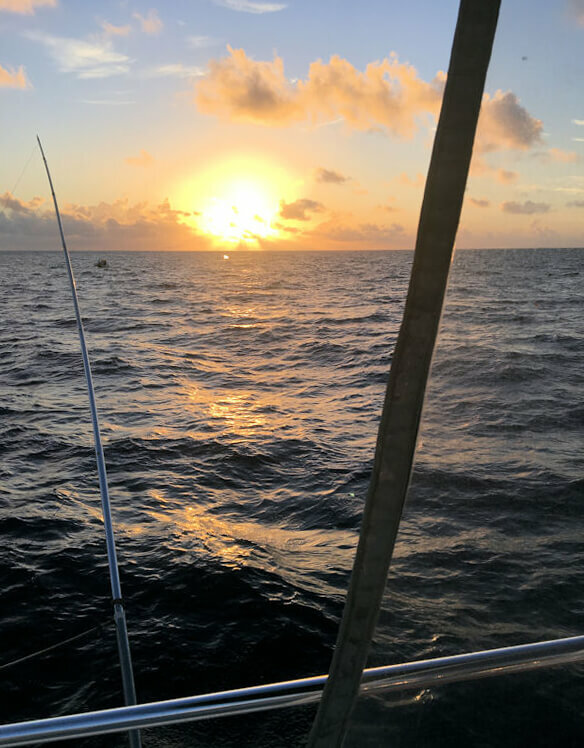 We love the chance to show them not just how to fish, but why we love and respect the ocean and the fish that live in it. 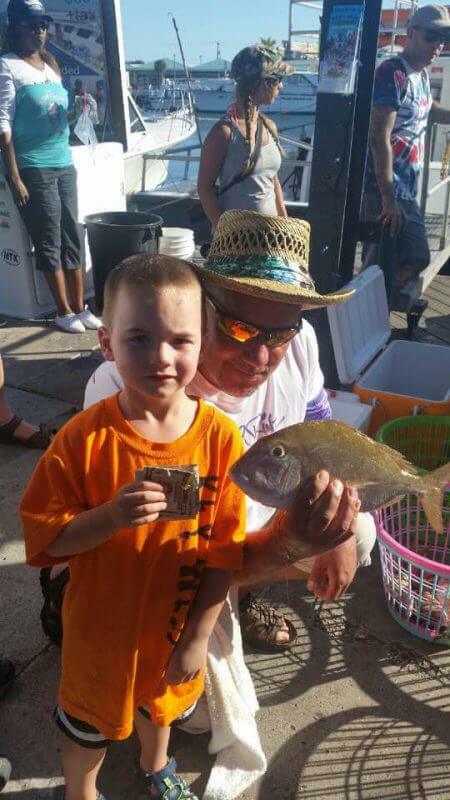 We’ve taught tons of kids to love fishing over the years and we’re excited to teach yours! 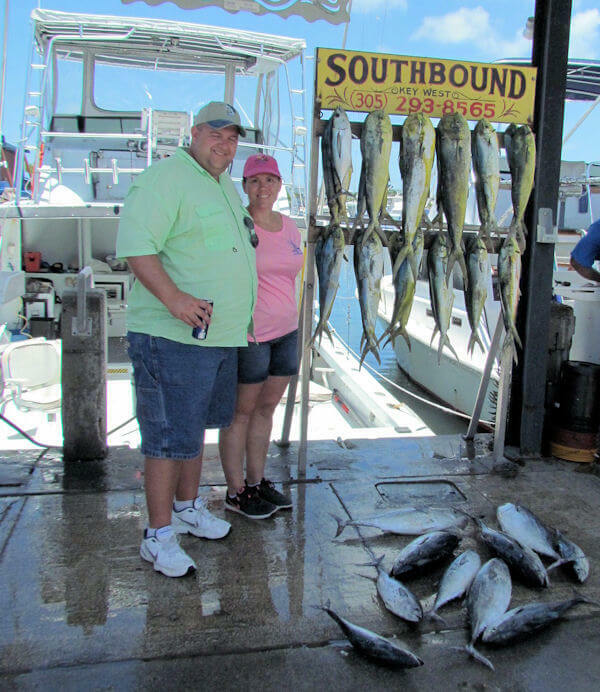 Check our Key West fishing catch of the day and like us on Facebook. 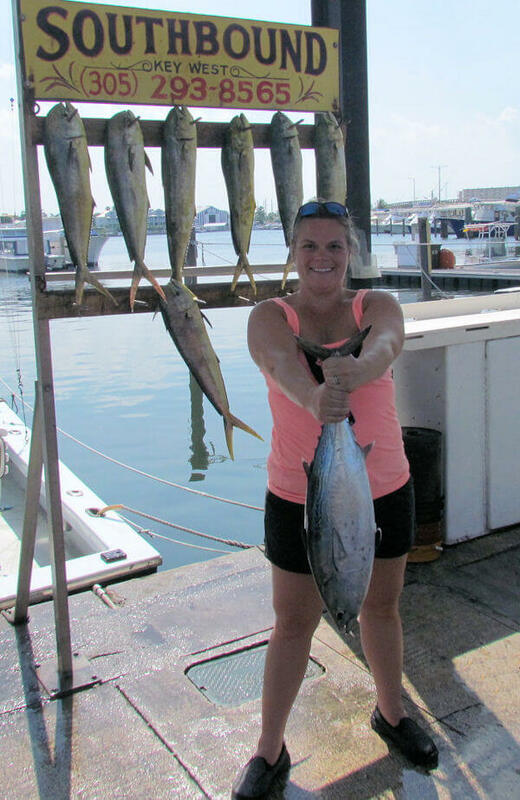 Don’t miss out: we offer a fishing accommodations package for anglers who fish multiple days – stay in our Old Town fishing cottage and enjoy all the comforts of home just a few blocks from the action of Key West’s Duval Street. 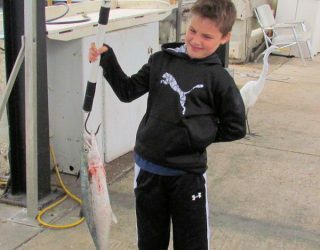 A barracuda is a great first fight – and catch for this young angler. 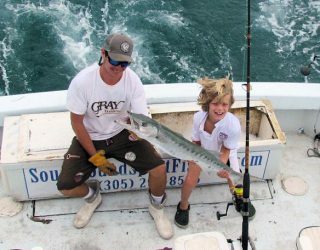 Landing a barracuda put a smile on this young angler’s face! We’ve had a terrific few weeks with great dolphin action. 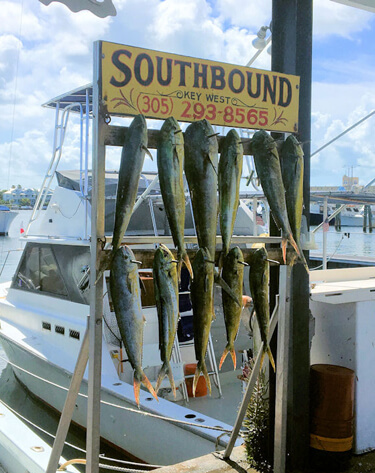 Anglers are going home with plenty of mahi mahi for dinner! 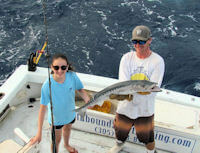 Great day of fishing for the whole family – released a couple of barracuda and then brought home dinner! Great action with some big Bonitos and dolphin for dinner! Found a school of dolphin and broke out the spinning tackle. Great action on the lighter gear and great eating sized fish. 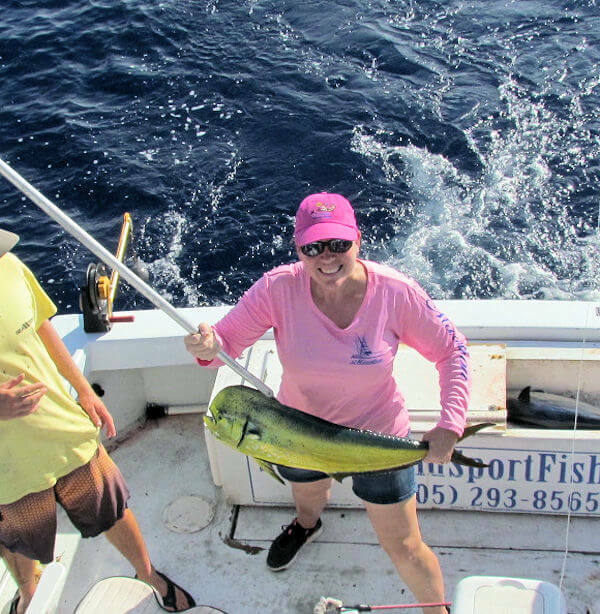 Dolphin, Bonitos and Black Fin Tuna! Great Day! Still plenty of fish around. Plenty of action and a lot of fun on lighter spinning tackle. Mostly smaller “schoolies” but all good eating size. 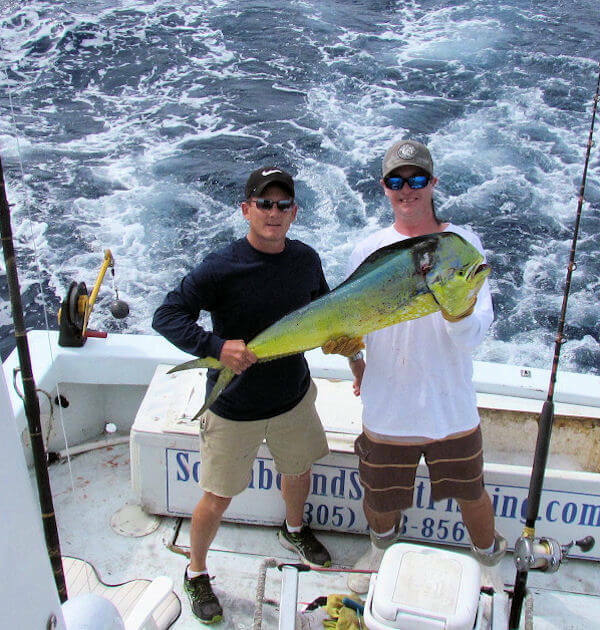 Check our Key West fishing catch of the day on our website or find us on Facebook. 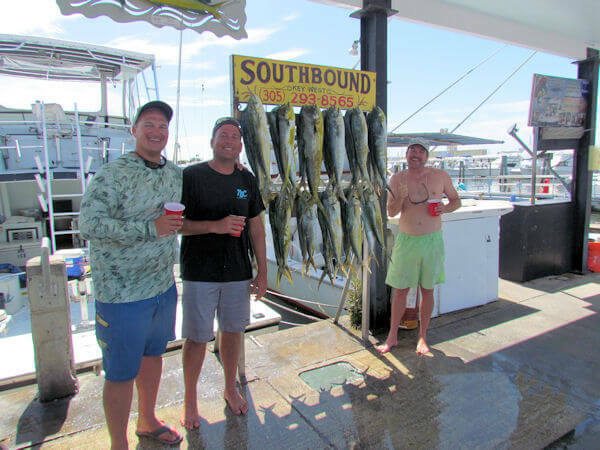 The Southbound offers a special Key West fishing accommodations package for anglers who fish multiple days in our Old Town fishing cottage, all the comforts of home and close to all the action in the Southernmost City.